A nod to the natural beauty and rustic landscape of Pagosa Springs, Colorado, our Amish Pagosa End Table with Glass Top is both refined and wild. Standard features of this living room or office accent include thick live edge top with tempered glass inserts, powder coated grey metal base, and an open shelf. Customize it by selecting the wood and finish of your choice from a variety of options. 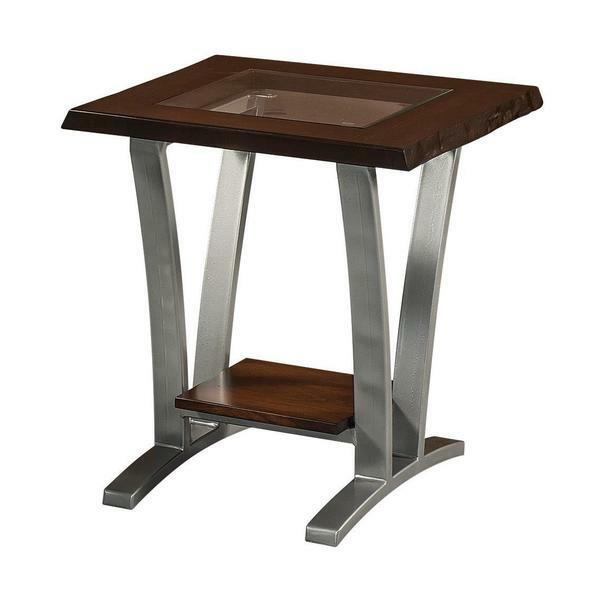 Also available with a solid wood top (no glass insert) and with a flat black steel base. Shown with cherry live edge top and FC226 coffee stain.